It's nice and practical to know some words in the local language of the country where you are travelling. Therefore we have composed a small vocabulary of about 240 words. 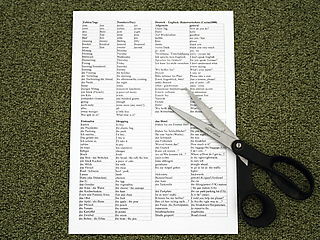 The vocabulary can be printed out double-sided. Then you can cut the sheet in the middle and fold it. 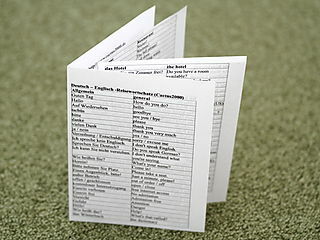 This way you get a small 8-page vocabulary that has place in every pocket.